For the past month I have been interviewing and showcasing various authors here in My Writing Corner. Today I am turning to one of my non-fiction co-authors (Ten Steps to Creating Memorable Characters) who has a new look at an old, but very popular, writing how-to book. 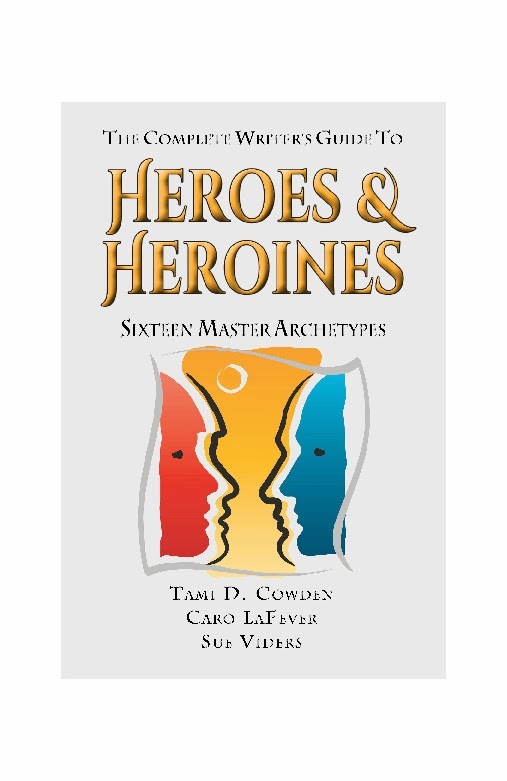 The book is Heroes and Heroines, Sixteen Master Archetypes and my guest is Sue Viders who is one of the co-authors. She has exciting news about a new look for the book after she and her fellow authors got the rights back from Random House. Sue, tell us about your new publishing journey for Heroes and Heroines. You have also been working on another ebook project for writers. Can you tell us about that? I have been working on a series of guides for fiction and non-fiction writers. Each guide is aimed at helping the aspiring writer. While the guides were easy to write, it was the 101-page workbook that goes with each guide that took time. We had to come up with three original exercise that would help the writer develop his or her own project. It was tough and took months to do each exercise book. But the guides are almost finished and just need to be formatted. You chose to independently publish your latest work as opposed to going with a New York publisher again. What do you see as the benefits of self-publishing? My decision to self-publish was determined when I discovered that Random House wasn’t interested in the guides even though the Heroes and Heroines book continues to sell very well. As the idea took shape I knew with a firm and unshakable belief that I was on to a great concept and that somehow I needed to get my guides out aspiring writers. Being an artist as well as a writer I knew the concept was also a visual product that could help writers. Self-publishing was a great option because it allowed me to have total control of the entire project. When Random House published the Heroes and Heroines book, they laid it out much differently than I wanted. I had worked hard so that each page was visually contained because I knew readers liked all their information on one page. And what did they do? They changed it all because of their size requirements and the information ended up on different pages. I was so pissed, but what could I do? By self publishing I get to do things the way I want-from font size to cover, it is all my decision. I also will make more money than with a New York house. You’ve told me that writing this series called The Weekend Writer is like writing a fiction series. Why? Working on a huge project is both frustrating and exhilarating. It requires a lot of discipline to keep going, day after day, week after week, working out all the little details of where to put this, or how to move forward. But it’s also rewarding to think you might have several books developing at the same time. Even while you are working on the non-fiction books I understand you have also been working on writing a mystery. How do you come up with ideas for your fiction stories? I am not really sure where I get them. They can come from any place for me. As I see it, ideas come and go. Some people are more creative than others and ideas may come easier for them. However we all have this potential and the objective is to learn how to nurture it. There are many ways to do this and one of my favorite techniques is to be consciously aware of my surroundings. At the beginning it can be a difficult task, but the idea is very simple. Every time you interact with your surroundings, may that be talking with someone or commuting to work, analyze what is being presented to you and think how you can make it better. Bottom line: I don’t think you can really “define” how an idea is born. They just seem to happen. Ideas can come from anywhere, at any time for any reason and sometimes for no reason. They just appear. Thank you, Sue, and good luck with your latest books. Today we continue a celebration of romance authors here in My Writing Corner. My guest this week is Debra St. John, whose latest book is This Feels Like Home. Welcome, Debra. Tell me about your writing journey. How did you get started? In high school I wrote several really bad romances. The ideas actually had merit, but I knew nothing about writing itself. No GMC, plenty of head hopping, and enough intruders to make me wince. I still have those early manuscripts. Maybe someday I'll revisit them long enough to turn them into something readable. Even after those first sad attempts, the desire to write a romance always stayed with me. After I graduated from college, I happened to meet a gal who was a member of a local writing organization. She invited me to a chapter meeting, and the rest is history. 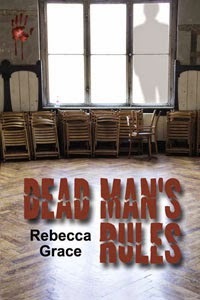 I joined my local RWA chapter, learned all I could about writing a romance, and had my fist book published in 2008. I just contracted my eighth title with The Wild Rose Press, and I continue to learn new things about my writing every day. You mention on your website that you fell in love with romance when you started reading it in high school. Who were your early favorites? I had a subscription to Harlequin American Romance. Every month four shiny new silver novels arrived on my doorstep. It usually took me all of four days to read through them, which left me impatiently waiting for next month to arrive. Who are some of your favorite authors in your genre now? Fellow chapter-mate Julie Ann Walker is a must read for me. Her Black Knights Inc. series is to die for. But since I've been writing romance, I tend to read other things. Reading a book and trying to write a book in the same genre tends to muddle my mind. I really enjoy cozy mysteries now. Denise Swanson, Kate Collins, and Joelle Charbonneau are some of my go-to authors. Please tell us more about your new book, This Feels Like Home. How you got the idea for it? Cowboys are one of my favorite kinds of heroes. I knew I wanted to write about one someday. I'd already introduced Jake in the first book in the series as a bull rider, knowing I'd be giving him his own story at some point. I did a lot of (really fun) research - attending rodeos, watching the PBR on tv - to make him as authentic as possible. It took me a bit longer to come up with my heroine, but eventually I paired him with someone who was afraid of the dangers of extreme sports...and thus my external conflict took shape. This book is the third part of a series. As someone who is presently working on a series, I know they can be challenging. What made you want to do a series? I love being able to stay in a place I've created and learn more about it. A series also lets me (and my readers) peek into the lives of other characters besides the hero and heroine. It's fun to be able to see what happens to a particular couple after their happily ever after. For other writers considering writing a series, what was the most difficult part of doing a series? By the time I got to the third book, there were some things I wished I could go back and change about the first two. Maybe just a small detail inserted here or there to better tie in later books. Or characters I wish I'd mentioned so it made more sense when they appeared in the third book. Since Jake's been around for a long time as a secondary character in two other books, it was so fun to finally give him his own story. Finding the perfect heroine for him was a challenge...who could ever be good enough?...but after many revisions, Amber took shape and became the one he'd share his heart with. I just received the first round of edits on a new book I contracted last month. Those will keep me busy for a bit. I also have another manuscript I'm working on...when I have 'spare' time, which isn't often lately. I've also found that although Jake's story is technically the last in my series, I'm not willing to let the characters and place I've grown to love go. So, I have some spin-off ideas for several novellas percolating in my head. A great big thanks to Rebecca for having me here today. My books are available from The Wild Rose Press, Amazon, and Barnes and Noble. Thank you so much for being a guest here in my Writing Corner. February is romance month at The Writing Corner and I am talking to romance writers. One thing interesting about romance writers is that they come from all walks of life and they all have a different story to tell about getting started, why they love to read and write romance and how it fits into their daily lives. My guest today is New Zealand author, Jean Drew, who writes romance as Jean Adams. Her latest book is No Other Love. Jean, how did you get started writing romance? I didn't start out writing romance. I wanted to be the next Agatha Christie and write wonderful mysteries. but somehow my plots never worked out. Then someone loaned me a few Mills & Boon's. I fell in love (no pun intended) and I've never looked back. I love to write about soul mates meeting, overcoming obstacles while falling in love and finally getting their HEA. No. I wanted to be a policewoman, but alas, I was too short to be accepted. But I was always good at essays at school and think I drifted naturally into writing from there. What comes first for you, your plots or your characters? Usually it's the characters. I start with the hero, build him a compatible heroine and then build the plot around the two of them. Who knows? Sometimes I ask "what if" questions. But most of the time the ideas find me. All I know it that, at present, I have 14 ideas waiting tio be written and all are in various stages of completion. I always give the same advice, given by Sir Winston Churchill: "Never give up. Never. Never. Never." Tell us a little about your new book, No Other Love. That was a typical build-the-hero-first book. He is a wounded hero who falls in love with a woman who has her own plans for the future. He becomes her friend and protector, even though he knows she will never be his. It isn't until she almost loses him forever, that she realises she's made a terrible mistake. You write mainly contemporary fiction, but I understand you are also working on an Egyptian trilogy. Can you tell us a little about that? The best time to have been born a woman in the ancient world was Egypt. They had all kinds of privileges other cultures could only envy. My three heroines come from three different pharaonic periods, so I am able to incorporate part of the lives of three pharaohs. Some time ago I wrote a time travel set in ancient Egypt. Once I had that under my belt,.I decided to venture into the trilogy. .
My current WIP is a light-hearted story about a gorgeous Greek billionaire who finds the woman of his dreams where he least expects to. I've just submitted the first three chapters for consideration while I work on editing the rest of the book. I'll be sorry to see him go when the book is finished but happily he has two brothers, so I won't lose him completely.. Thank you, Jean, for being my guest. Good luck with your new book and on your next project. What about the rest of you? Do you find yourself coming up with new ideas outside your current genre? February is the month for romance, and this month we are featuring romance authors. 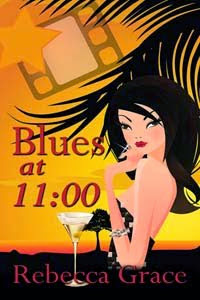 My guest today is Maria Imbalzano, a new author with The Wild Rose Press. Thanks for joining me, Maria. Your day job is being a divorce lawyer. What got you started writing contemporary romance novels? As with any high-stress job, you need to relax at night. I have always loved to read, and reading romance provided an escape from the difficult issues I dealt with on a daily basis. I started writing romance about fifteen years ago because I was frustrated with a novel I was reading by a well-known author. I believed I could do it better. Of course, it’s easier said than done, but my desire to try it put me on the path I am on today. Writing romance novels may seem like a contradiction to my highly charged ivorce litigation practice. But through my writing, I'm able to create positivemotions and story lines that counterbalance my embroilment in real life conflicts. Tell us a little about your new book, Unchained Memories. Returning to her hometown of Princeton was not part of Charlotte Taylor’s plan. She had a prestigious job as a medical malpractice attorney in San Francisco, a great apartment overlooking the bay and a somewhat serious relationship. But her brother-in-law’s untimely death has her flying clear across country to help her sister and two young children survive unimaginable loss. Memories of her parents’ deaths in a car accident ten years earlier, as well as her serious injuries, come flooding back. Running into Dr. Clayton Montgomery at a fundraiser was the last thing she expected. He had been an intern at Nassau General when she’d been a patient a lifetime ago. As an 18 year old, she had a mad crush on the gorgeous doctor, yet he didn’t seem to notice. Now, sparks fly as they re-connect. Unfortunately, philosophical differences over the benefits and detriments of medical malpractice suits soon become a reality and Charlotte is faced with the choice of representing a client against Princeton General – and against Clay. Your novel is set in Princeton. Is there a reason you chose it as your setting? I grew up in the Princeton area, and still live and work here. I love the town of Princeton with its perfect combination of quaint shops and restaurants, the University campus, and historic and cultural sites. When writing, I like to picture myself at the various places where my characters frequent, and by using Princeton as my setting, it was very easy to do. For example, Charlotte and Clay go to see a play (Cat on a Hot Tin Roof) at Pendelton Theater. It was really McCarter Theater which has fabulous plays, dance performances and other shows. Clay’s condo is right off Palmer Square and Charlotte’s rental house is on one of the side streets off Nassau Street a few blocks north of the University. Knowing the town so well makes it easy to have my characters move around. How important do you think setting is to a story? The setting of a novel can clue you into some of the personality traits of the characters. For example, someone who chooses to live in a small town like Princeton may do so because he/she is close to their family, they want the security of living in a place they know, they want to be a big fish in a small sea career-wise or they enjoy getting involved in the community where they live. If the setting is in a big city, the characters’ personalities may include a love of the arts, the need for excitement obtained from the hustle and bustle, a non-stop work and social life, or a need to be anonymous among thousands. Setting can also be a character unto itself. What do you like best about your hero, Dr. Clayton Montgomery? Well, of course he’s gorgeous. And intelligent. And driven. He’s also connected to his family. He helped his four siblings by loaning them money to go to college and grad school. But, he’s also flawed in that while he supports his siblings financially, he doesn’t always give them his time. What about your heroine, Charlotte Taylor? Charlotte is also intelligent and driven. In addition, she’s very strong. She had to learn how to survive on her own after the car accident that killed her parents. Although her older sister, Renee, was around, she wasn’t there for Charlotte. Unfortunately, the trauma of losing her parents and her sister’s absence from her life from that point on, has made Charlotte distrustful of close relationships. My current work in progress is called “Dancing in the Sand.” It’s about an accomplished dance major at New York University, Ava, who is pursuing her dream of becoming a professional dancer upon graduation. When on stage, her feelings of unworthiness melt away, and in their place grows confidence and value, feelings she doesn’t get from her workaholic father whose presence in her life all but disappeared the day her mother abandoned the family to live her dream. One summer weekend in Newport, she meets her roommate’s brother, Brian, a charismatic Harvard grad who is joining his father’s business. They steal private moments together and fall quickly for each other, but the weekend ends with a disastrous accident leaving Brian with a head injury and no memory of Ava. When Ava learns she is pregnant as a result of her time with Brian, her world collapses. She gives up her passion –dance – and goes to law school so she will have a lucrative and steady career, if not the creative career she aspired to. She wants to help support her daughter financially, even though she convinced her sister and brother-in-law to adopt her child. Five years later, as a new associate at an environmental law firm, she meets with Brian, who is looking for representation for the family business. He doesn’t know Ava, but is drawn to her. They start dating and old feelings surface, as well as memories of their weekend together. But will her secret destroy their newfound love? Stay tuned. Is there anything else you’d like to share with us about you or your book? I am thrilled to finally be published after years of working to get to this point. Even though it took me a long time, I can honestly say that the journey has been fun and rewarding. From not knowing the first thing about writing a novel to learning the craft by going to conferences, seminars and reading dozens of books on the subject, I feel that I have learned something new – something that gives me great pleasure. Along the way, I have met amazing authors (published and pre-published) who have given me support and motivation, especially when I went into a funk over rejections. And I must say that the authors from The Wild Rose Press have been the absolute greatest in welcoming me with open arms and giving me a voice on their blogs. Including you, Rebecca. Thank you. How about a short excerpt? “I’m leaving for college today.” She stood tentatively in his office doorway, her crystal blue eyes so expressive in their sadness. “I wanted to thank you for all your help, especially with physics and calculus. I never would have done so well without...you.” She avoided his eyes as her voice trailed off, choked with tears. Thank you, Maria, and good luck with your new book.